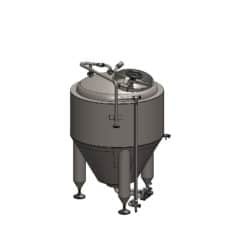 CIP station (Ozone) : with an oxygen tank (50 liters) for cleaning, sanitation and sterilization of vessels and pipes in the brewery uses – instead of chemical-based disinfection only ozone. 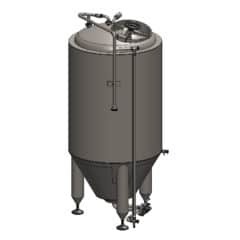 The ozone CIP completely replaces chemical-based disinfection for filling machines, fermentation tanks, kegs and all other process equipment. Aqueous ozone can also be used for sanitation of open surfaces such as floors or conveyor belts. 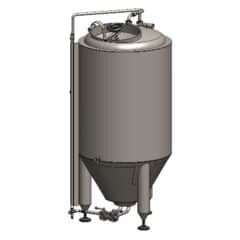 CIP station (Ozone) : with an oxygen tank (50 liters) for cleaning, sanitation and sterilization of vessels and pipes in the brewery uses – instead of chemical-based disinfection only ozone. CIP-O-51 : 1-phase 220-240 V / 50Hz electrical power connection. This simplified type of CIP has wheels so the CIP is easily movable. Lower price of a generator of oxygen. Simplified control system, without a deaerating feed tank and a pump. CIP-O-53 : 3-phases 380-420 V / 50Hz electrical power connection. This type of CIP has adjustable legs. 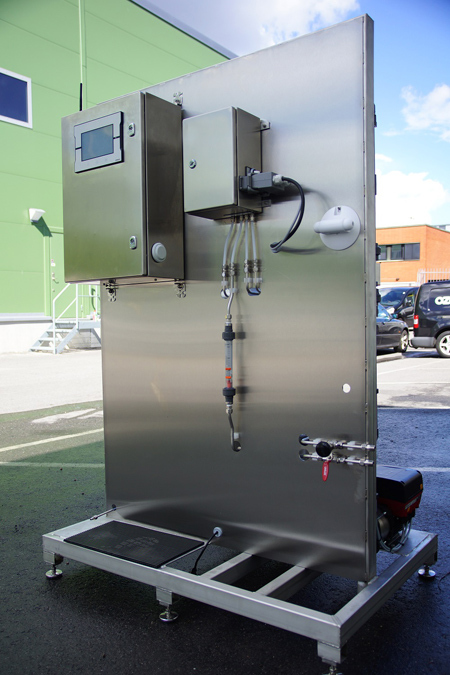 Fully equipped ozone CIP station: integrated contact and a deaerating feed tank. Control system with a touch panel. Integrated control for ORP (ozone). Checking the pressure over injector. Integrated ozone destructor from the degassing tank. 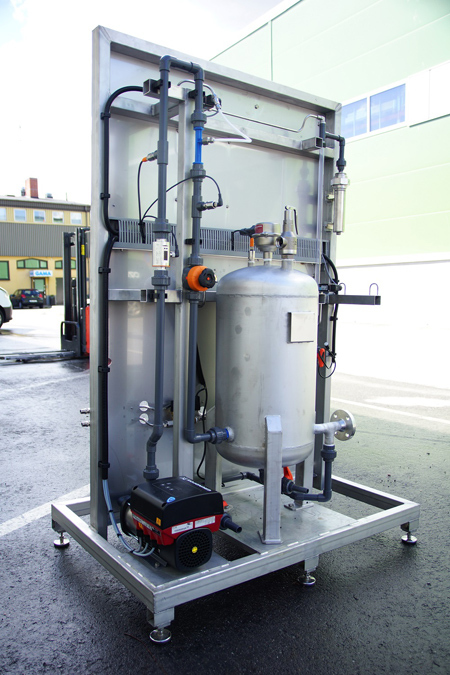 The ozone CIP system reduces consumption of chemicals, energy and handling with an improvement of operational safety. Clean-in-Place cycles are shortened by up to 30 minutes per cycle and are prolonging the lifespan of production facilities compared to the traditional use of chemicals or heat. 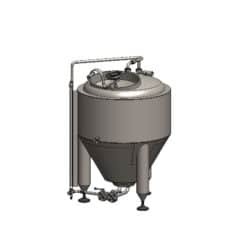 It is also very effective to use it as a quality assurance of water supply into the brewery. It can be used as a remover of residues of aroma compounds in breweries or in the production of cider. 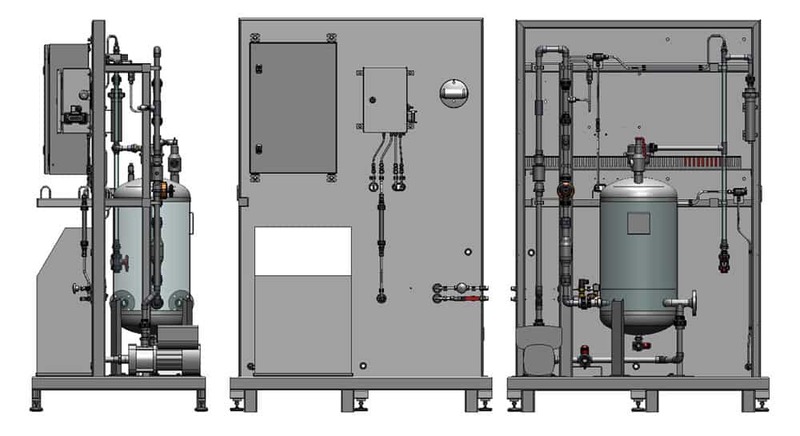 The CIP-O-50 produces aqueous ozone with high efficiency and operational safety. All production takes place in an in-site demand. 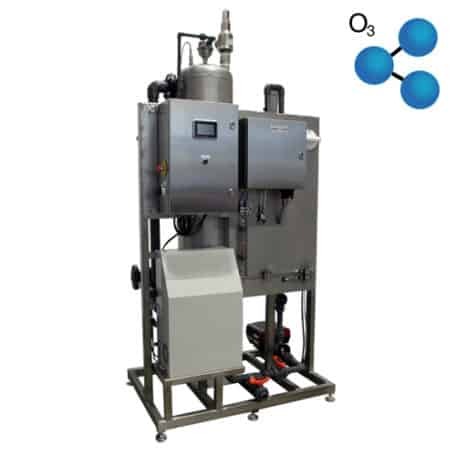 Ozone-tech uses only high-concentrating ozone generators which are fed with an oxygen gas which is dissolved in high transfer efficiency utilizing a venturi injector and a contact tank. Ozone is produced by using corona discharge technology which enables very low power consumption. 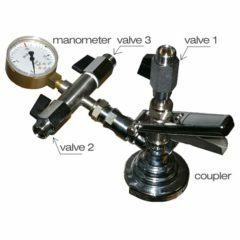 Any leftover ozone gas is de-gassed and goes to a catalytic ozone destructor, which assures that there is not any ambient air ozone during the operation. A modern integrated control system regulates and optimizes the performance and can be connected to an external SCADA if needed. 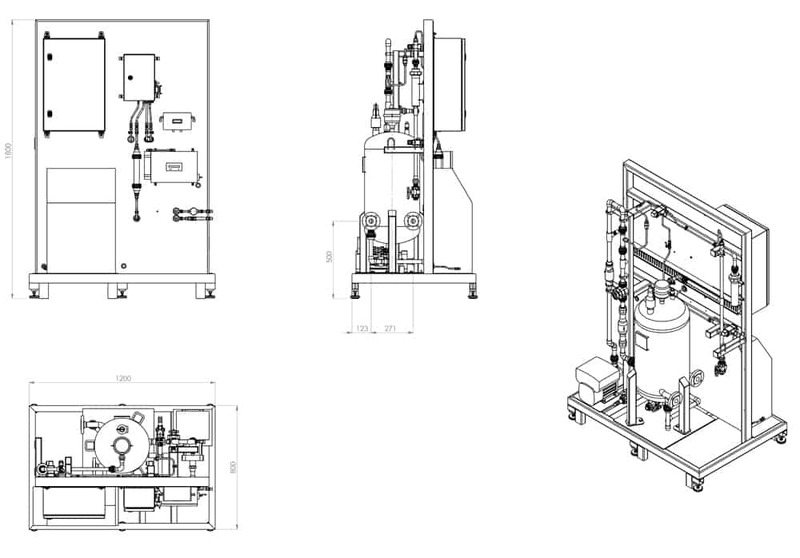 The system is delivered with a special preparation of a 50L oxygen bottle to supply the ozone generator with a stable 99% of oxygen gas for the best performance. Alternatively, an oxygen generator can be used. It produces 93% of oxygen gas from ambient air. Clean in Place (CIP) systems are used within a number of industries, and all of them can benefit from using ozone in their cleaning process. Ozone can supplement or replace the conventional CIP methods (such as chlorine, steam or caustic). 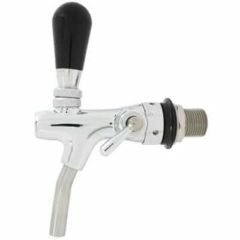 It is easy to install and operate – a limited maintenance is required. Due to its high oxidation potential, ozone improves the effectiveness and cleanliness system. In the process it reduces overall chemical costs. It leads also to lower cleaning time and lower scheduled time for dose and product changes. In the long run is ozone in the most cases cheaper, more efficient in terms of cleaning capability and time than any other CIP system options. 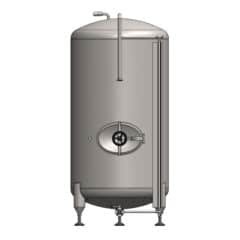 The ozone CIP completely replaces chemical-based disinfection for filling machines, fermentation tanks, kegs and all other process equipment. Aqueous ozone can also be used for sanitation of open surfaces such as floors or conveyor belts. 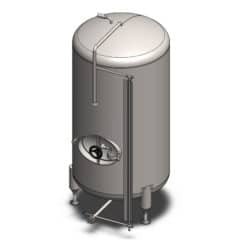 Ozone is a perfect replacement for chemicals, which are used for sanitation in a brewery. With ozone, sanitation and treatment of the supply water all microorganisms are guaranteed to be killed.This ensures the top product quality. 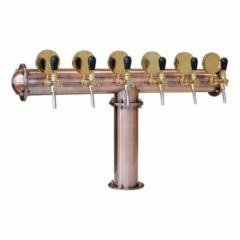 For breweries that produce different beverages, such as beer and cider: ozone is an effective oxidizing agent. Aroma compounds that may contaminate beverages are effectively removed from components such as seals. Ozone systems have a small footprint (standard EUR-pallet 120 x 80 cm) and it do not consume more than 0.75kW during an operation. 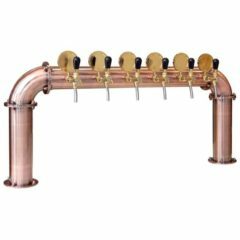 Systems can be installed in-line or in a CIP side stream. Ozone production is automatically adjusted to ensure maximum disinfection efficiency during the operation. It offers a remote monitoring of performance as a part of optional service packages. 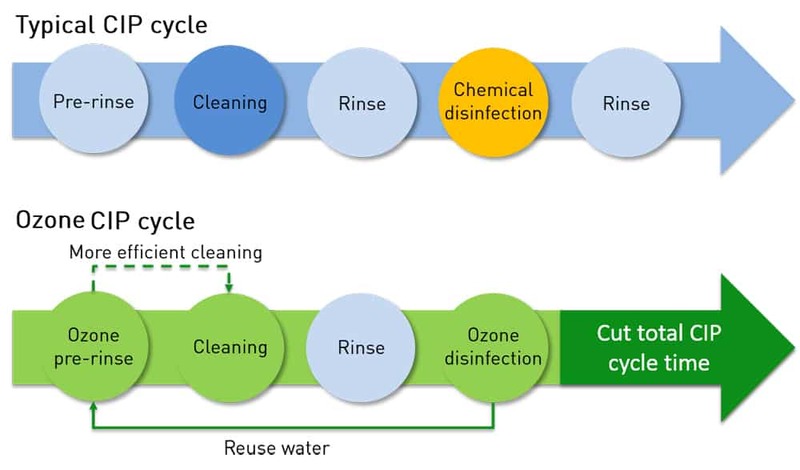 Ozone is a proven disinfectant which has shown its wide range of use within the food & beverage industry, treatment of industrial wastewater and air treatment with a minimal environmental impact. 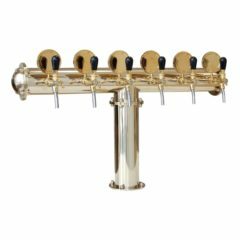 Ozone technology is a natural part of breweries of the next generation. *indicative for installations in Europe. Commissioning and training includes 1 day start-up and training procedure where the ozone CIP specialist calibrates and ensures smooth system performance after installation. Varies depending on location.